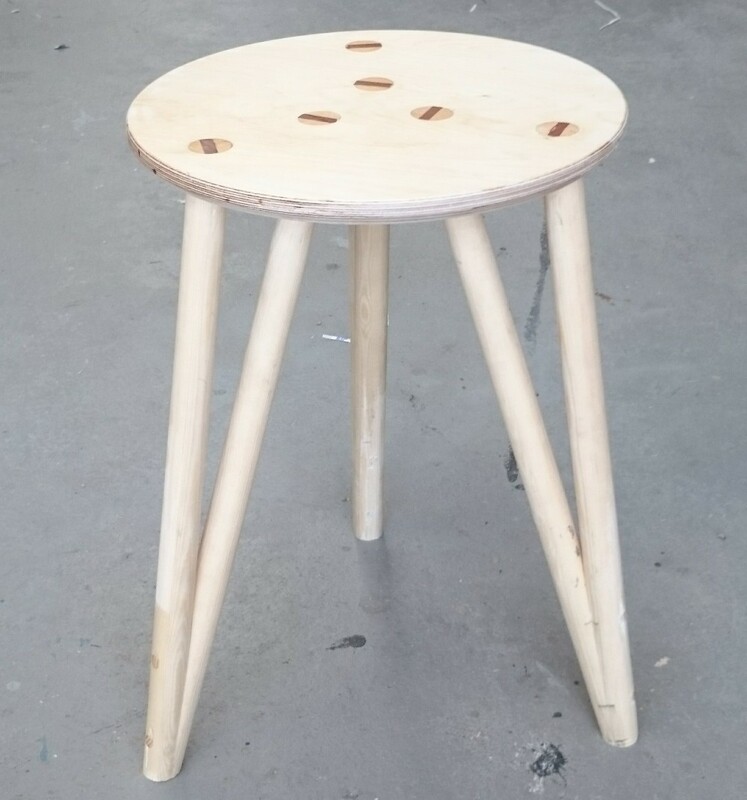 Introducing a prototype stool we have been working on. 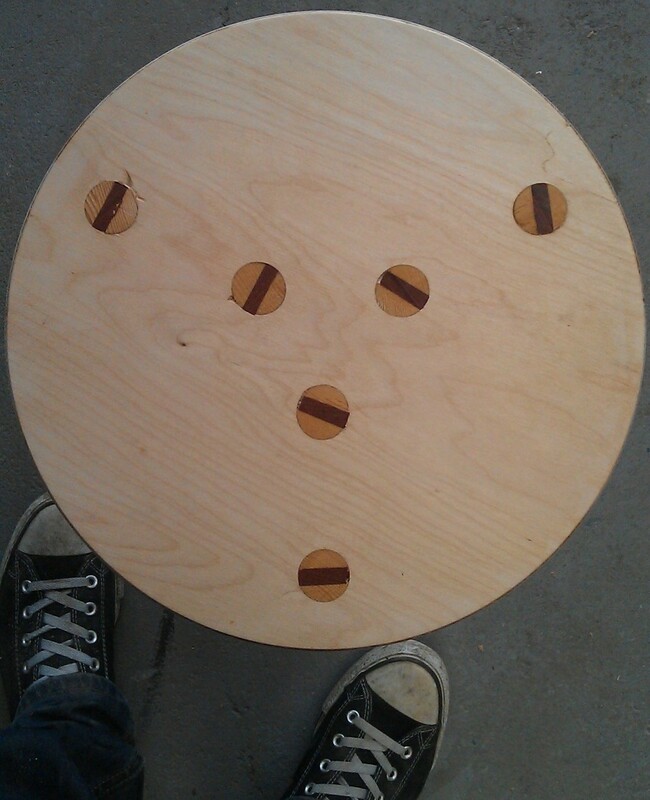 The form of the legs and being at 120º divisions create structural triangulation between all components. 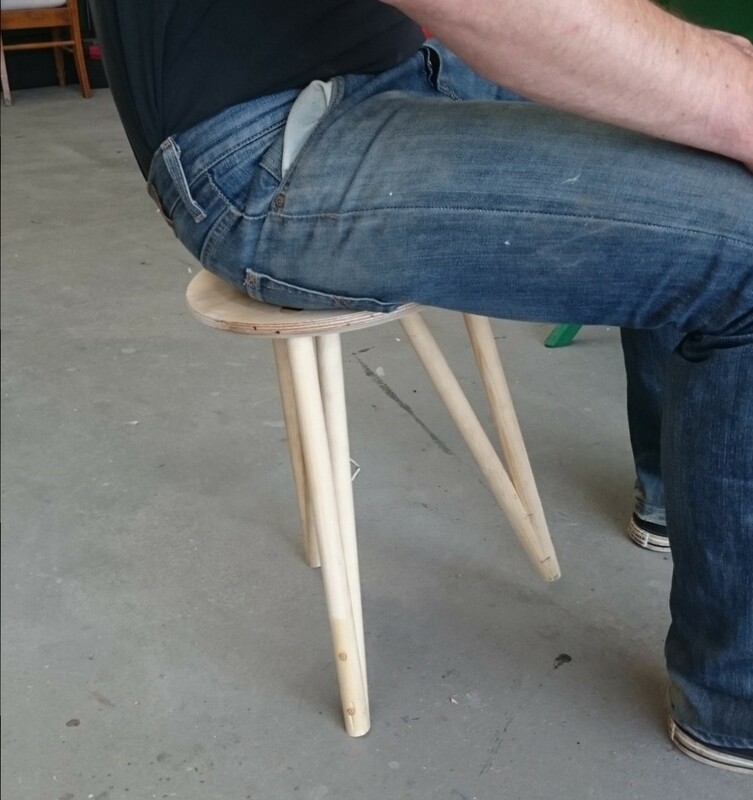 The legs are joined with through dowels and the legs are wedged into the seat. A very satisfying moment proving that theory does work in the real world. This entry was posted in Wedge Stool. Bookmark the permalink.